Home > Video Games > Confirmed status update on Retro Studios making “Star Fox – Metroid: Fusion Saga” for Wii U. Rumors put to rest. Confirmed status update on Retro Studios making “Star Fox – Metroid: Fusion Saga” for Wii U. Rumors put to rest. On My 19th, Paul Gale Network shared one crazy rumor about a game called Star Fox – Metroid: Fusion Saga. It was rumored to be the title in development by Retro Studios for Wii U and the very project that was originally hinted at back in 2011 from a couple of people within the company. I put the story up with great caution, because always around E3 time do wild rumors surface the internet. However, because of the source at hand and the fact that this particular story was a bit of a personal one for me to get to the bottom of, I shared it. Fast forward to this past weekend and a lot of out of state (that being my state of California) people are staying in the Los Angeles and surrounding areas for E3 preparation. It was in these past few days that I was able to find out if there’s any truth to Star Fox – Metroid: Fusion Saga. The good news is that going into E3, I have an answer: No. This game is not what Retro Studios is currently working on and it will not make an appearance at E3 next week. Now depending on what side of the fence you were on in regards to whether or not you wanted this game to be real is where this news might be personally good or bad to you. If you hated the idea, then rest assured that the game isn’t happening. If you liked the idea, then at least I can leave you with a bit of cushioning. So once and for all, is Star Fox – Metroid: Fusion Saga going to shown off at E3 next week? No, but at least the possibility for it did exist…and more importantly, it seems like this next generation from Nintendo will range from innovative new ways to play games to some unexpected new directions that the games will see themselves. 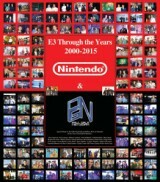 Finally, I personally hope to see some terrific new ip’s from Nintendo. E3 is next week, folks. Here’s hoping for the best one yet! DragonBall Z: Project Super Saiyan debuting now on Paul Gale Network! Retro Studios al lavoro su di un progetto segreto! 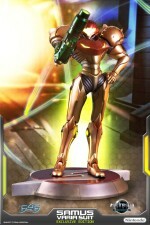 Nintendo's Starfox-Metroid Mashup from Retro Studios is a No-Go from Side Mission Gaming News. Previous post: Dragon Ball Z: Project Super Saiyan debuting now on Paul Gale Network! Next post: Warner Bros. announces Injustice: Gods Among Us for Wii U, Xbox 360, and PlayStation 3.